A form from a flow can be embedded into a portal page. Essentially, the flow is embedded, however what the user sees is the first form that is found in that flow (assuming one exists). Embedding a flow into a page gives a user quick access to interact with the flow. 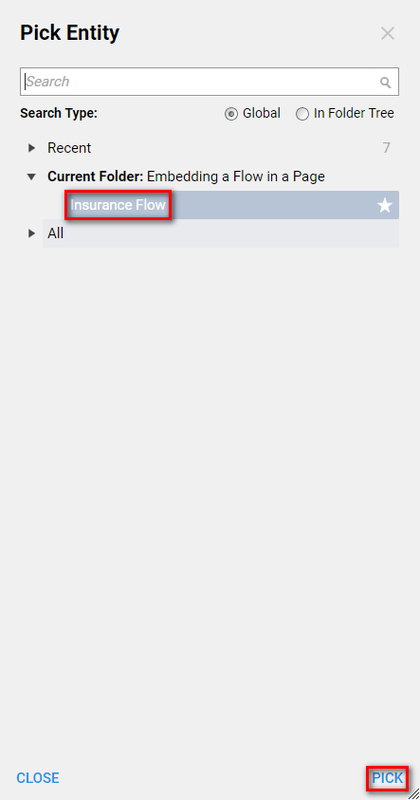 In this example, the flow containing forms already exists; this flow is to request an insurance policy. To embed a flow into apage	, create a new page. The new page in this example will contain a button to start a chat, but the main feature of the page is the form for requesting an insurance policy. In the page Designer, expand Flow	. 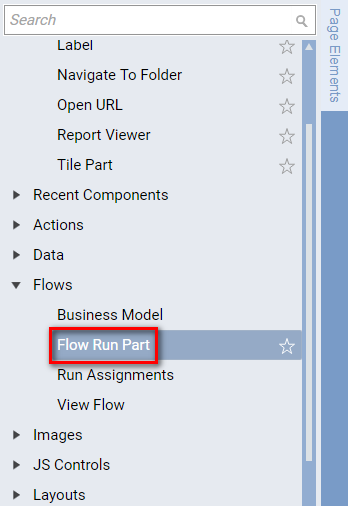 Add the Flow Run Part	component to the workspace. 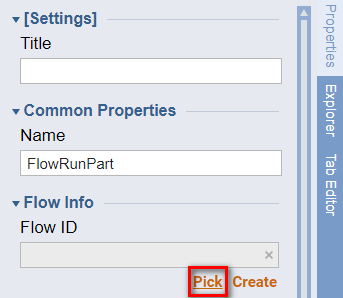 In the properties for the Flow Run Part	, browse to and select the flow in theFlow ID	field. Save and close the page. Now when the page executes, the first form found in the flow displays.